We want to be self-sufficient. Find our own direction as we pursue our dreams. Know it all and never ask for help. Isn't this how most guys approach manhood? On our own, pretending we are doing better than we really are? But sooner or later the thrill of independence gets lost in the fog of isolation. It's time to take the pressure off. We were never meant to figure life out on our own. 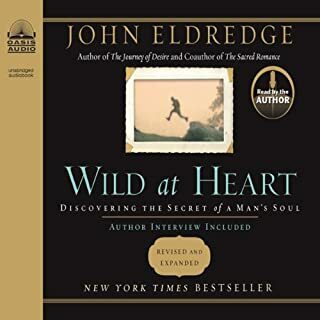 This book was born out of a series of weekly phone calls between Sam Eldredge, a young writer in his twenties, and his dad, bestselling author John Eldredge. Join the conversation as a father and son talk about pursuing beauty, dealing with money, getting married, chasing dreams, knowing something real with God, and how to find a life you can call your own. Killing Lions is more than fatherly advice. It is an invitation into a journey: either to be the son who receives fathering or the father who learns what must be spoken. Most important, these conversations speak to a searching generation: "You are not alone. Its not all up to you. You are going to find your way." 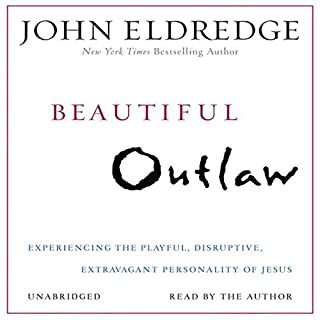 This book is a great listen on the struggles of young men in todays’s culture with some fatherly advice. I think in some ways the narration between a son and his father makes it a better book for listening then reading. Recommend for dads with teenagers and young men in early to mid 20’s. 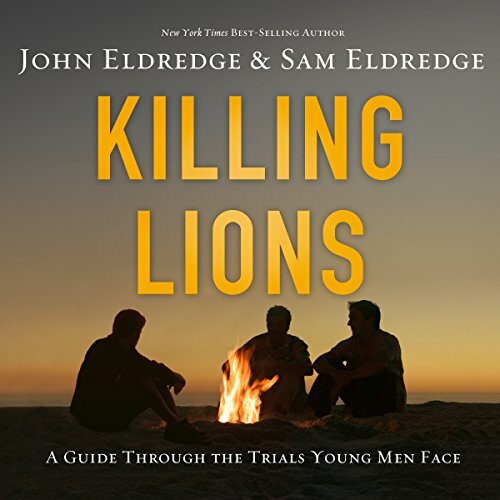 Would you consider the audio edition of Killing Lions to be better than the print version? Today's generation too often prefers the simplicity and flexibility of listening/watching over reading. 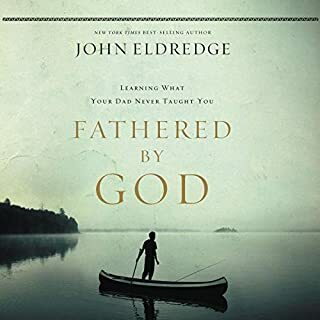 Having this in audio form not only brought the story to life through the narration directly by John and his son Sam, but perfectly fit my desire to be able to share this with my young adult sons who have left home and off to college. Their feedback has been better than expected, felt it was very relevant to issues they were dealing with. Highly recommend to other dads who desire to stay engaged in their sons lives. This is a timely, much-needed guide for this generation of young men. It is more like sitting in on a conversation between father and son than listening to or reading a book. Excellent! everyone needs to hear this story. The Eldridge men create an insightful unveiling of modern man's struggles against a post manly society. If you have sons, you should read this book! I was surprised at the honesty and transparency of the authors. It showed me how seriously they felt about needing to share the important lessons and truths about manhood. I bought this book for my son who is in his 20's, and did not grow up with a good father figure in his life, and he too was surprised at its honesty and the valuable lessons and truths shared in the book. 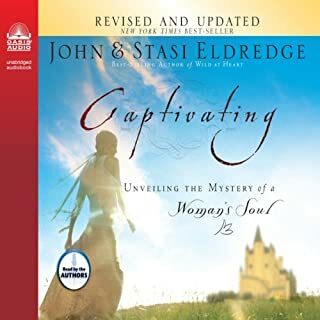 The father-son dialogue in the audio version helped me to feel as if I was eves dropping in their conversation, which lent to the intimacy of their dialogue. I really loved this book. I enjoy reading/listening to profound conversations which was the case for the first half... The last half includes prayers and suggestions that Christianity is the true path (the true religion)... The author also claims that Einstein was a Christian [erroneous fact].... 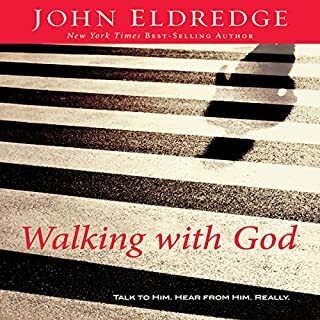 I only gave the book a 3/5 because I am sure it would be a great book to read/listen for religious-christian folks... other than that, the title & description is misleading & deceptive. Few good lessons. I really did not expect to love hearing the authors read their own work. Having both the Father and Son speak through their parts really lender credibility to the overall concept. They did a great job at building concepts that then lead to the next level of conversation. Overall, a very well done and useable analysis of a discussion to a young man growing up and making very critical transitions to manhood. This was exactly what I needed. 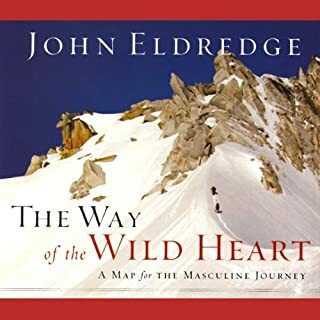 I'm a late 20s guy wrestling with the same stuff Sam Eldredge is, so this book helped me out a lot. A must for every son! I wish I had this book when my son was still at home. However, I will still share this with him and pray it will open avenues for discussion between us as he begins his journey as a husband and father. Thank you John and Sam for sharing this life giving conversation!